As images of the aftermath of the floods in Uttarakhand pour in; and details of stranded tourists and pilgrims, break down in infrastructure, washed away villages and grief of loss are aired, we realize we are heading to a mammoth task as a nation and a people. The first step of evacuation is underway at war footing by the government and the army. Next will come the distribution of relief material which is critical. Clothes, utensils, clean drinking water, medicines, food etc. But once the initial crisis settles and the need for the third level of relief, and perhaps the most challenging in that sense, begins to surface, we have to be prepared. Prepared with the resources, especially huge amount of money and man power to take up the task of rebuilding their livelihoods. The locals here thrive on the tourism (Char-dhaam in particular) and handicrafts. With the Yatra already declared suspended for 3 years, there will be a lot of people not only facing the horrors of the disaster but also left with no avenues to rebuild their lives. This rehabilitation of the people in the true sense will only be possible by incessant work now by dedicated individuals and institutions over a long span of time. The need of the hour then is money + volunteers + local organizations coming together for the process to shape. A few of us have come together and created a platform for this. We are requesting people to give money and volunteer to help. We need money to buy things and volunteers to assess what is needed on the ground. We are partnering with local organisations to make sure that our efforts are all synchronized and nothing goes waste. 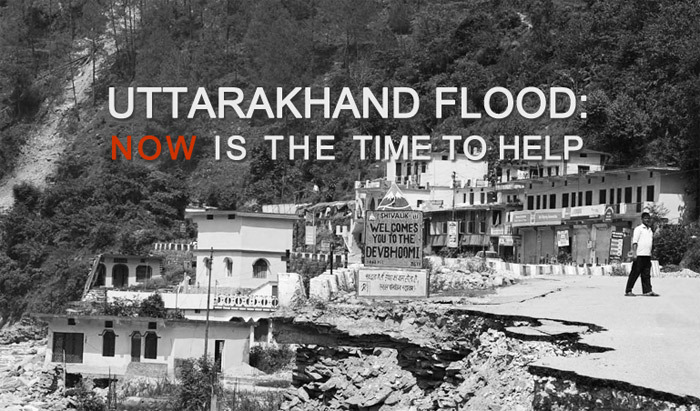 All our updates will be available on this blog at this link https://blog.ivolunteer.in/category/uttarakhand-floods/ . Uttarakhand Floods Relief and Reconstruction team.